Olga Mukhina has emerged as one of the most important Russian playwrights of the post-Soviet period, although her output has been small. Her plays Tanya-Tanya (produced 1996) and YoU (produced 1997 and revived in 2001 at the Moscow Art Theater) are unquestionably among the most inventive and intriguing plays in the contemporary canon. Her idiosyncratic, dreamy voice that often seems more cinematic or novelistic than dramatic, is mixed with a harsh, clear vision of the difficulties her characters experience in love and life. In the late 1980s, Mukhina attempted to enter the screenwriting department of the cinema institute but was rebuffed because, according to her own account, the trial scripts she submitted during the entrance exams were repeatedly rejected as incomprehensible. In 1991 she entered the Gorky Literary Institute to study playwriting, although she never completed the course. Her other plays have been Alexander August (1991, unfinished, unproduced) and The Love of Karlovna (written 1992, produced 1997). Tanya-Tanya, YoU and The Love of Karlovna have been translated into some one dozen languages and produced throughout Europe. 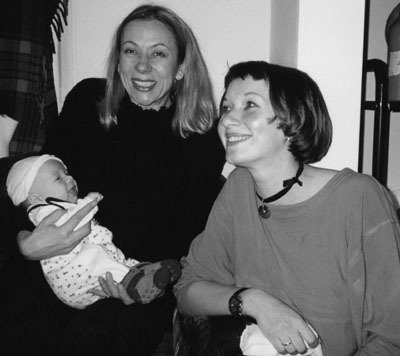 Mukhina participated in a playwriting seminar at the Lark Theatre in New York in 2001 to develop an American performing version of YoU. After marriage in the late 1990s and the birth of two children, Mukhina ceased writing plays for several years. In 2003, she began working on two different plays, one for the Fomenko Studio, the other for the Oksana Mysina Theatrical Brotherhood.